Founded in November 2006, ExtraTorrent was a popular and widely spread torrent site, second on the list after The Pirate Bay. At that time, there were few torrenting websites out there. ExtraTorrent quickly gained a good reputation with its distinct user interface, and gathered a large number of visitors and followers. However, ExtraTorrent is no more among us. It was closed at the end of spring 2017 and is said to shut down permanently, leading its users in a deep shock. The admins of the ExtraTorrent site confirmed this decision to TorrentFreak and cleared that the ExtraTorrent will not coming back to the torrent community. The demise of ExtraTorrent follows the list of other dead torrent platforms like Kickass, Torrentz.eu, TorrentHound, Wat.cd, etc. Despite of this, torrents are still an essential part of our online life and luckily there are many replacement torrent sites have quickly emerged. In this article, we have covered a list of 5 best alternatives for ExtraTorrent. Torrent users can switch to the following ExtraTorrent alternatives websties to download movies and TV shows without hassle. The Pirate Bay is undoubtedly the most popular torrent download website in the world. It is a place where you can find any kinds of movies, games, videos, music or books. The Pirate Bay also went offline once but got its place back very soon with its own domain which is .org. 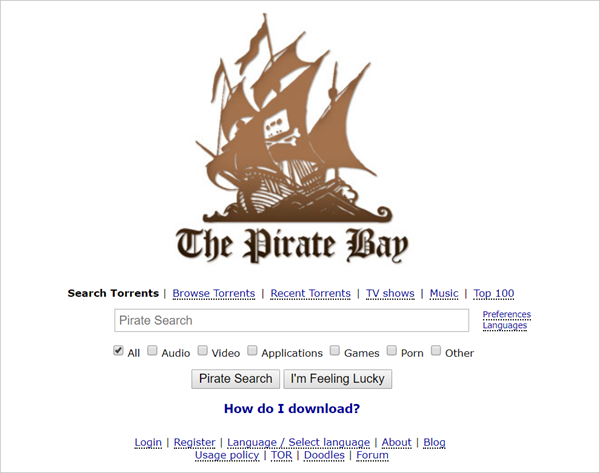 The Pirate Bay with its powerful search of torrents content and free from any pop-up advertisements, no other torrent websites can defeat its place. Over the past few years, this site has gone through many ups and downs, but it still stands strong till date. And it is by far the best alternatives for ExtraTorrent. YTS is also a very highly rated website for quality torrents. Users of YTS sometimes find it hard to get a movie that is newly released because YTS only offer its torrents with high resolution and Blu-ray quality. So users have to wait for a couple of months the date of releasing of a specific movie. YTS once was known as YIFY keeping the title of the most popular platform of the Internet. Later it changed its name to YTS after being suffered from a takedown campaign. The best part of YTS is that it doesn’t rush the page with advertisements and unusual popups. It is really a great ExtraTorrent alternative you can try. RARBG is yet another excellent ExtraTorrent alternative website that provides high-quality movies. Different from YTS, it not only provides Blu-ray quality downloads, but also has a wide range of torrents with varying seeders and peers. It gained quick popularity and is famous for the organized content it hosts. RARBG was founded in 2008 and it legally went down after a year of its opening. Keeping it’s simple and plain look, it went into reconstruction and started its operations again and become one of the best torrent platforms on the Internet. However, the site has still been blocked by UK, Saudi Arabia, Denmark, Portugal and several other countries. 1337x is currently one of the most popular torrent websites that still working. This platform provides torrents in different categories and qualities. Also it has brilliant website design that makes it quite appealing and user-friendly. Here you can easily find your favorite torrents. It was founded in 2007 and is strict about its rules. It doesn’t allow users to spoil the terms and policies of the website. This action makes it the most authentic website on the Internet. The site has changed domain names at least to avoid Google search ban and currently it is using the .to domain as its main site. Torrent Project is actually an alternative to Torrentz keeping all the projects and ethics from its parent site. It doesn’t host torrents from its own servers, but works as a search engine that queries results form other torrent indexing services. Basically, it redirects users to different torrent sites and let the users decide where to go next. After the downfall of Torrentz, the website recreated to the name of Torrent Project. Now it is powered by a huge library of 9.8 million torrents and really a good choice in the best ExtraTorrent alternatives list. Please note that the site complies with all DMCA & Copyright notices, so you’d better use a torrent VPN for this website.